This year, I'm writing an adventure/coming of age story involving an international cast of characters, a gem heist, eco-guerilla action, and the joy and pain of first love found and lost. If you are NaNoing, let's be buddies. My handle is "sylliu." My grade: B I'm falling behind, a bit stuck on the "what happens next" part, after 4095 words. 2. 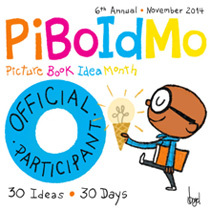 PiBoIdMo: Tara Lazar's challenge to come up with 30 picture book ideas in 30 days. 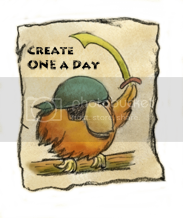 Daily guest blog posts provide inspiration and the opportunity to win prizes. I do this each year to have a handy list of ideas that I can turn into stories when my inspiration runs low. I don't always get to 30 ideas, but it's a useful exercise to work at getting ideas. My grade: B- Also running behind. Two good ideas so far. My grade: A-, I've sketched every other day or so but haven't been posting them. 4. The Muse Writing Workshop I'm taking a workshop where we learn craft and critique each others' work. It's nice to have a group of writers who critique longer fiction and to connect in person with local writers. Last year, I did a NaNoWriMo workshop and four of us still meet monthly to eat and talk shop. My grade: A, It's given me the discipline to write and critique others, and the motivation to work on NaNoWriMo. 5. Children's Book Academy Illustration Course I've taken several online children's illustration classes (all awesome: Will Terry's Folio classes (this is an affiliate link); Mark Mitchell's class; and Will Terry's School of Visual Storytelling), but I was drawn to Mira Reisberg's online course this month because it is co-taught by Chronicle Books Art Director Kristine Brogno. This is a five week course with daily self-paced classes, a once-a-week webinar, and the opportunity to critique and interact with other students in both small and large Facebook groups. 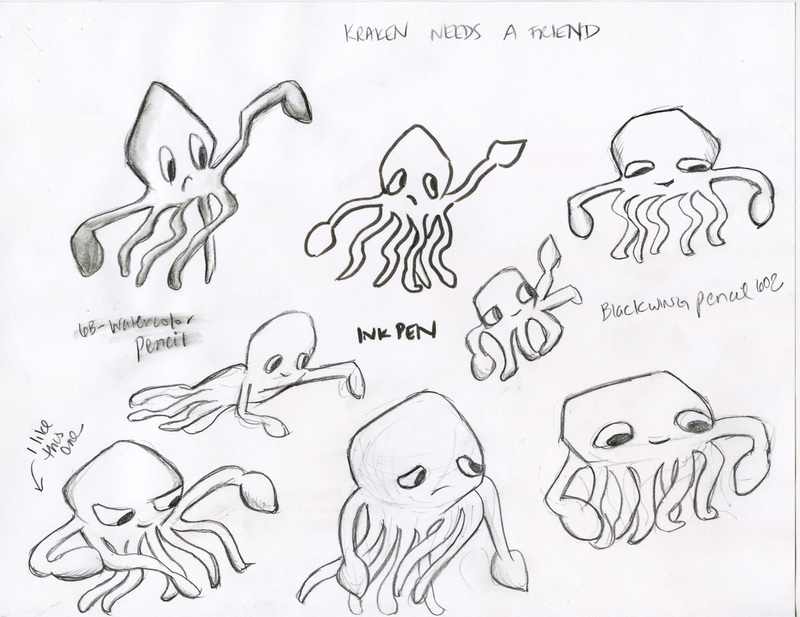 By the end of the month, the goal is to have either a completed dummy or a couple of completed illustrations. My grade: A, It's given me the discipline to work on my thumbnails and dummy for a story and I'm really enjoying the small, active critique group. 6. Just Write For Middle Grade Earlier this year, I was given the chance to take this course in exchange for a review. 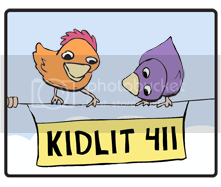 It is a 14-week self-study course that walks you through writing middle grade or chapter books. I haven't finished it yet, but I'm getting there. It's been great to consult while NaNoing. My grade: A for the course, B- for my productivity. Watch this space for my review once I complete the course (soon). 7. Nevada SCBWI Mentorship Google Hangouts I continue to meet once every three weeks with my wonderful fellow illustration mentees from the Nevada SCBWI Mentor program. We catch up on what we are doing and our mentor David Diaz checks in periodically. It was exciting to have been privy to the early planning stages of this book. What about you? What keeps you busy? Wow, Sylvia, how exactly do you do all of those?? I'm just doing the first two and I'm exhausted. :} I know what you mean about your NaNo progress...I'm starting to be stuck now and sweating about how I will be able to carry on for another 40,000 words. Very cool about seeing David Diaz's early art for that book! I'd love to a mentorship program...if only I didn't hate to travel (assuming I win). I'm not sure I'm keeping up very well with all of it, but it's fun to try. I'd love to try SkaDaMo, but maybe in a year I'm not doing NaNo. I did #inktober and have to admit that having to draw every day for a month was good for me, even if I did complain loudly about it. Check back with me at the end of the month and I'll let you know how far I actually got with all of this! Your grades look pretty good for a person with such a huge workload. Good for you for giving them all a go. Regardless of how far behind you may be with some of them, I'm sure you are still gaining in inspiration, knowledge, skill, experience, and community. Did I leave anything out ;-) Enjoy! Thanks, Alayne! I am definitely focusing on some more than others and I won't feel badly if I don't complete them all. I give you an A for your dedication to your craft! You definitely keep yourself busy. Love your passion, Sylvia! Thanks, Romelle. I love hearing what you're up to too! Wow that's a lot, Sylvia! You are amazing doing all that. Good luck!